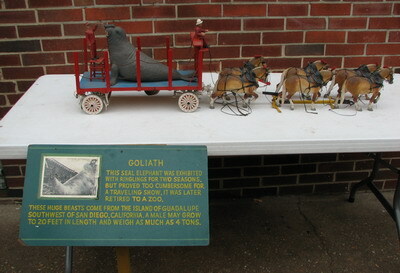 This wonderful circus wagon came out of an exhibit in Pennsylvania. It is about 3’ long. It is a great piece of American folk art.